If there is one theme in our blog posts, it is how you can stay safe on the road so that you can avoid an accident or, even worse, death. We want to help keep you and your family safe so that you can all live long, prosperous lives instead of dying prematurely on the road. But how many people actually die on the road? It is really that big of deal? In truth, even if only a few people died from traffic accidents that could have been prevented with safe driving, that is too many. However, the National Highway Traffic Safety Administration reports that in 2010 there were 32,885 people that died in a car crash. Let that sink in for a minute. Almost 33,000 people dead. But what caused these accidents? Were they really preventable? 89% of the deaths could have been prevented. The main causes of the accidents that resulted in death were drunk driving and speeding, with distracted driving also a substantial cause. Only 11% of the deaths were attributed to bad weather (i.e. unpreventable). 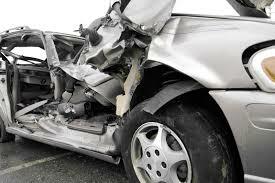 That equates to over 29,000 people that could still be alive today if drivers were more cautious on the road. The sad thing is, only 52% of the people dead were the actual drivers. When drivers choose to speed or drive drunk, they know they are taking a chance and risking their lives. But the other 48% of people who died didn’t have this choice. These people were merely passengers or chose to travel via bike, motorcycle, or foot. They did not break any laws, yet their lives had to end because someone else did. To look at it another way, for every 100 million miles driven, 1.1 people die. When viewed from this perspective, it does not seem as harsh. But if that one person is your mother, father, son, or daughter, it doesn’t really matter. What matters is that you drive defensively all of the time. There is never a moment that it is safe to look away from the road. There is never a time when you know you can speed without any consequences. There is never a guarantee that if you get behind the wheel after drinking you will get home safely. Accidents are called accidents for a reason. They are not predictable and never caused on purpose. You need to always follow the laws of the road so that you can be sure you are doing everything you can to avoid a fatal accident. Even if you are not the one that dies, the guilt you will live with if you kill someone this way will be insurmountable.